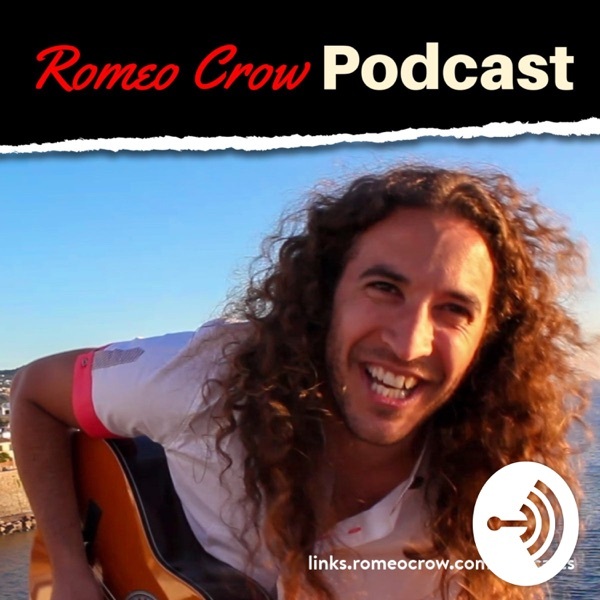 Romeo Crow | Listen Free on Castbox. It's far better to do 5 or 10 minutes a day than an hour a week.It's far better to break large complex tasks or goals into bite-size chunks and do them with regularity and consistency everyday rather than wait until you can blitz it in one go. If you want to improve your craft at something you need to be doing it everyday not just every so often.And if you want to get to the goal it's better to make small progress every day rather than large progress every so often.Baby steps and chipping away at something everyday and the routes to achievement. If you are reliant on a third party for your livelihood, then consider ways that you can change that; what if overnight they changed their rules and you lose your access to them how would that affect your business or your livelihood?Perhaps you are an employee who got made redundant, perhaps you were reliant on Facebook and they change their API access and your business no longer has access to the data it needs to function, perhaps you relied on MySpace and it just died on you!If you rely on some other company for your livelihood, at some point, they can change that relationship and you can be left stranded.So, if you can avoid it, don't build your house on somebody else's land. What have you not started yet because you're overcomplicating it in your mind?What are you doing that is being dragged down by overcomplicating?How would simplifying elements of your life, your work, your planning, your everything, make it easier to move closer to where you want to be?Isn't it time to simplify your life? Think about your average day when you've succeeded in your goal or reached your dream. What does it look like? What do you do in the morning, the afternoon, the evening? Get specific!Now, how can you bring, and start integrating, some of those elements into your day to day life right now?I'm short, if it's your dream, or you're waiting until something like retirement to do the things you've always wanted to do, why not start them right now; what's stopping you? You never know when the payoff is going to come...so don't focus on it. Instead, invest in that "thing" (relationships, health, your creative passion, etc) because you love it and because you believe in it. Don't let a "lack of progress" deter you; persevere.Because you never know when the payoff is going to come! Changing your location, your movement and your sensory input are great ways to be out of your usual, comfortable zone, and can be greatly beneficial for you.Even just changing the route you normally take to get somewhere can help improve your mood, focus and creativity.Moving out of your comfort zone isn't just about the work and skills you're doing, it's your physical location too.